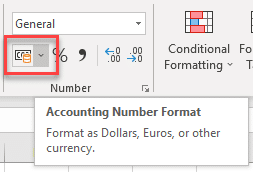 In Excel, the basic way to format negative numbers is to use the Accounting number format. This option will display your negative number in red. But for some reports, negative numbers must be displayed with parenthesis. Let's see how to do that. To display your negative numbers with parentheses, we must create our own number format. 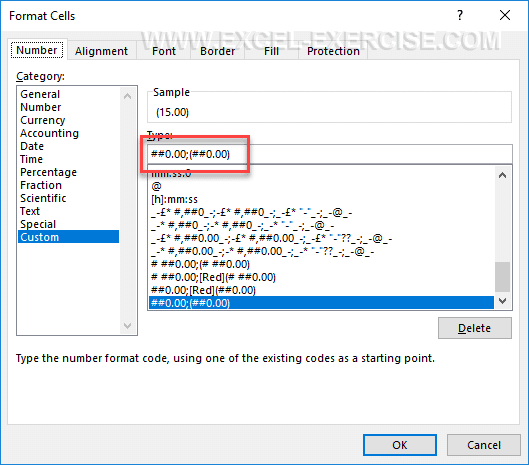 Open the dialog box "Format Cells" using the shortcut Ctrl + 1 or by clicking on the last option of the Number Format dropdown list. You also need to specify how the number will be returned. So with this information, we can easily create a format for negative numbers in parentheses. And if you also want the negative numbers in red, just add the color setting in to code.